If you are facing a criminal charge in Clinton Township, the first step is to engage the services of an experienced criminal lawyer. Do not go it alone, or with a lawyer that does not have your best interests in mind. Your future and your family's future are important and you should not gamble with your defense. With every criminal case you are pitted against Judges, zealous prosecutors, police officers, detectives, and the other deep resources of our heavily subsidized criminal justice system. Winning is of utmost importance - it is everything. Having a confident lawyer in your corner opposing your persecutors, and who enthusiastically gets to work on your case no matter what, and who uncovers and presents the inconsistencies in the prosecutor's case is exactly what you need for your defense. Great result often come from great lawyering. Turn the tables of the prosecution's case to your greatest advantage and contact attorney Daniel Hilf of Hilf & Hilf, PLC to discuss your case. When it comes to your defense, there should be no tolerance for errors, inaccuracies, or anything short of diligent, professional legal representation. You deserve respect and you deserve to be heard. Attorney Daniel Hilf's job is to defend people and not to judge his clients. He is here to help turn your worst day in your life to something better. He is here to make a positive impact in your life, and to fight to restore your life to the best of his ability. Being falsely accused of a crime is the worst imaginable situation to face in life. Trying to convince others that someone accused is actually a victim is often a tough fight. You should consider hiring the best lawyer available to you. The criminal justice system is a work in progress, and sometimes innocent persons are ensnared in the criminal justice system through no fault of their own. The innocent are brought into the criminal justice system for a variety of reasons, including: violations of Constitutional rights; false assumptions; lies and deceptions; mistakes made by police officers; persons targeted by police officers; and prejudice and bias. It is common for police agencies to jump to conclusions and judge a situation improperly. Attorney Daniel Hilf pledges to work against possible false convictions by devoting proper time and resources to his files to fight for the right result. On many occasions people are "overcharged" by the prosecution. Overcharging happens when the prosecution pursues a false assumption that a person engaged in more serious conduct than what actually occurred. For example, a person accused of home invasion may have had permission to be in the residence, and a lessor charge should have been pursued for a theft that occurred within the home. The Prosecutors should never try and throw the book at a Defendant by pursuing a high level offense that is not supported by all the evidence. In some (but not all) cases the goal of the defense is to have a conviction of a lessor offense occur, and save the client from the main inaccurate charge. Upholding the Constitution and protecting client rights, compassion, placing the case in the right light, and persuasion all play roles in the legal representation by attorney Daniel Hilf. If the offense is true and undisputed, a lawyer is still recommended to defend the case. Some cases are not provable. Other cases may be eligible for diversionary statuses to keep the offense off of a record. Other cases may need persuasive sentencing arguments and presentations. Research your lawyer, and hire the lawyer that is best for you. 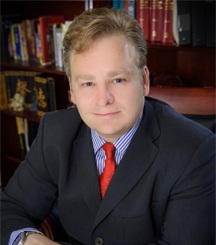 Your research will tell you that attorney Daniel Hilf is a top rated lawyer, with over 20 years of criminal defense experience and over 100 completed jury trials, representing thousands of satisfied current and former clients. Have you been accused of a crime, and do you need to go to Court in Macomb County? Hilf & Hilf, PLC is here to consult with, to answer all your questions and concerns, and provide you with top level criminal defense representation. Payment plans are available in many instances. We accept credit card, debit card, check, money order, cash, and other payment methods and are available upon short notice. Contact Hilf & Hilf for a consultation today to discuss your criminal law issue.